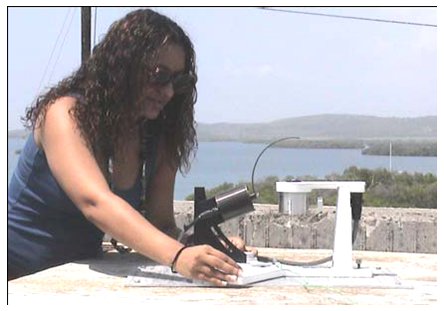 AERADNET provides NCAS students with training in the operation and application of state-of-the-art and next generation meteorological instruments and measuring techniques. The acquired data are freely accessible to research centers and universities worldwide. 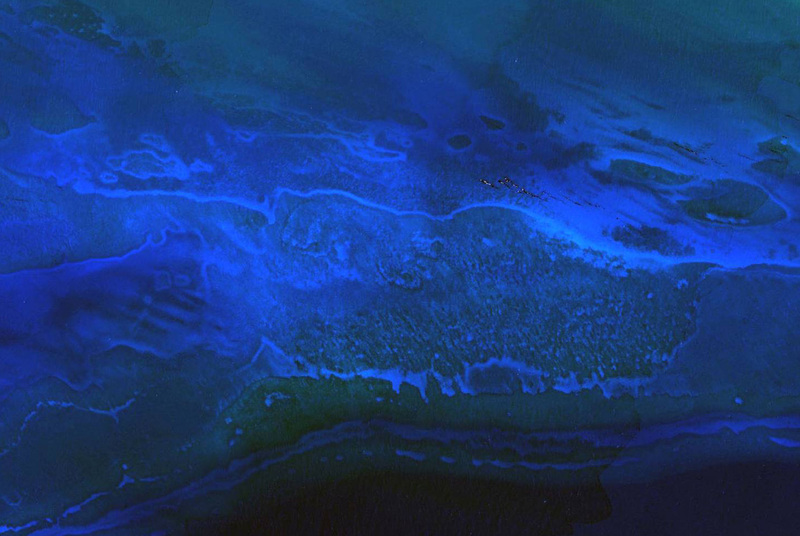 The Aerosol Robotic Network (AERONET) station, managed by NASA's Goddard Space Flight Center (GSFC), has been in operation at this site since 2000. It is a solar powered instrument composed of a CIMEL spectral sun photometer, a Vitel VX1004 transmitter, and batteries. The Cimel’s sensor head collimator is attached to a robot base which systematically points the sensor head at the sun according to a preprogrammed routine. 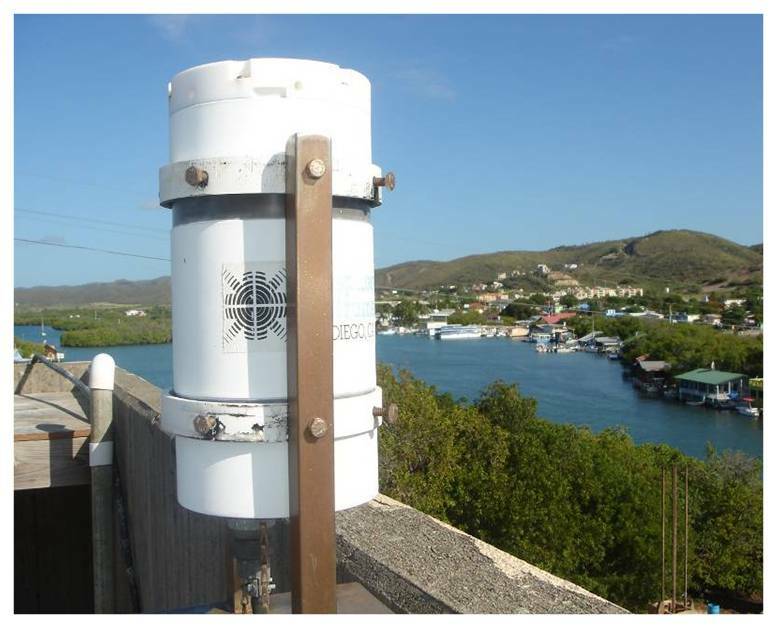 AERONET provides observations of spectral aerosol optical depth (AOD), inversion products, and precipitable water in diverse aerosol regimes and in eight spectral bands (340, 380, 440, 500, 670, 870, 940 and 1020 nm). The Dust Scan monitoring system (Rupprecht & Patashnick Co.) has an Infrared beam positioned at 180 degrees from the photodetector. The amount of light scattered by the particles and received by the photodetector is directly proportional to the aerosol concentration (mg/m-3). 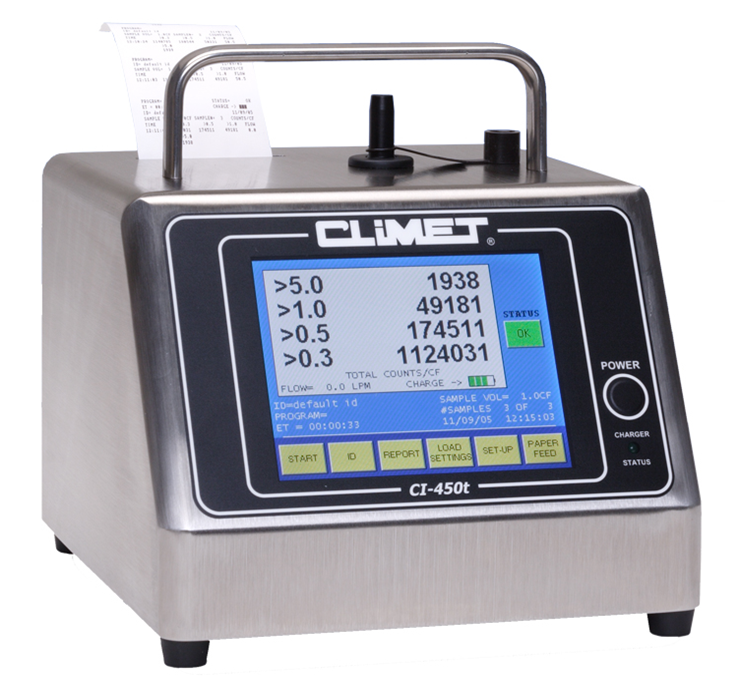 The Climet (CI-150t, Climet Instruments) laser particle counter is a laser diode-based aerosol particle counter that monitors particles in four size ranges: 0.3, 0.5, 1, and 5 μm at a constant flow rate of 28.3 Liters per minute. Particulate matter in the size range of 2.5 µm (PM 2.5) or 10 µm (PM 10) is collected in filters by using a Thermo Andersen RAAS 2.5-200 high-volume air sampler. The instrument is programmed for 24 or 48 hours sampling periods at a constant flow rate of 16.67 Lm-1. It has an air inlet that removes particles larger than 10 µm and a WINS impactor (secondary size selective element) that excludes particles larger than 2.5 µm when needed. 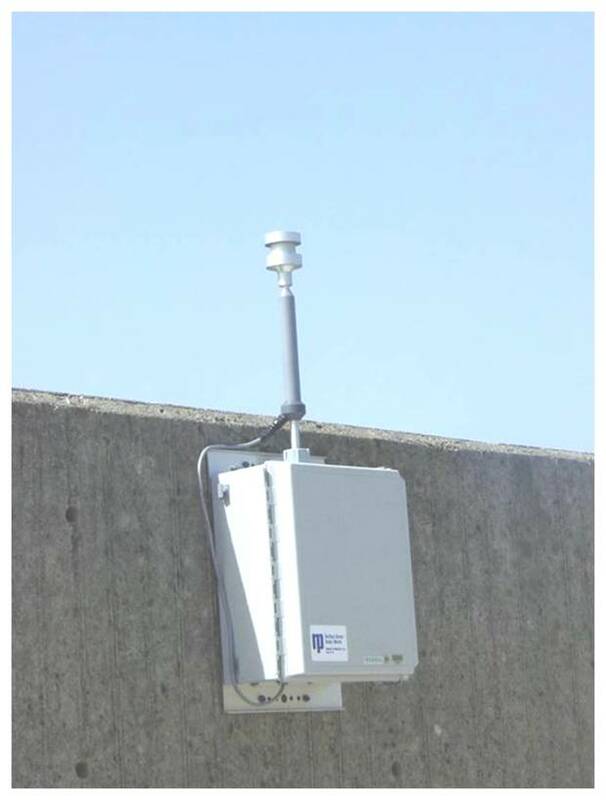 This sensor, developed by Yankee Environmental Systems, uses independent detectors and the automated shadow-band technique to make spectrally resolved measurements of global, direct and diffuse components of solar irradiance at six wavelengths (415, 500, 615, 673, 870 and 940 nm) and at a broadband channel. A retrieval algorithm is applied to the MFRSR measurements to derive information on the aerosols optical and radiative properties, such as aerosol optical depth (AOD) and Angström exponent. 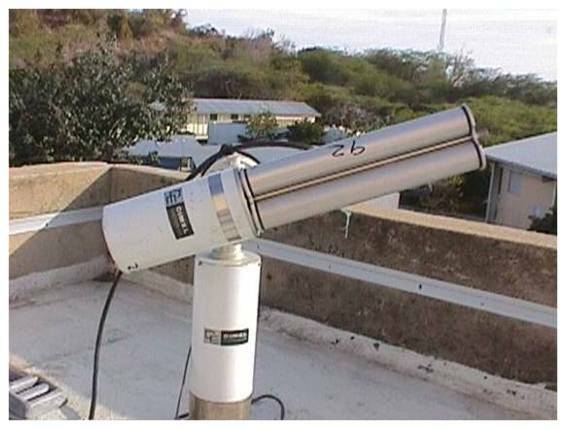 The GUV 511, ground-based ultraviolet radiometer (Biospherical Instruments) has been operating continuously since 1997. The GUV measures UV irradiance at 305, 320, 340 and 380 nm at a spectral resolution of 10 nm, and Photosynthetically Active Radiation (PAR: 400  700 nm). It operates at a time resolution of 1 min. Daily doses of UV radiation are estimated using the equations of Orce and Helbling, (1996). 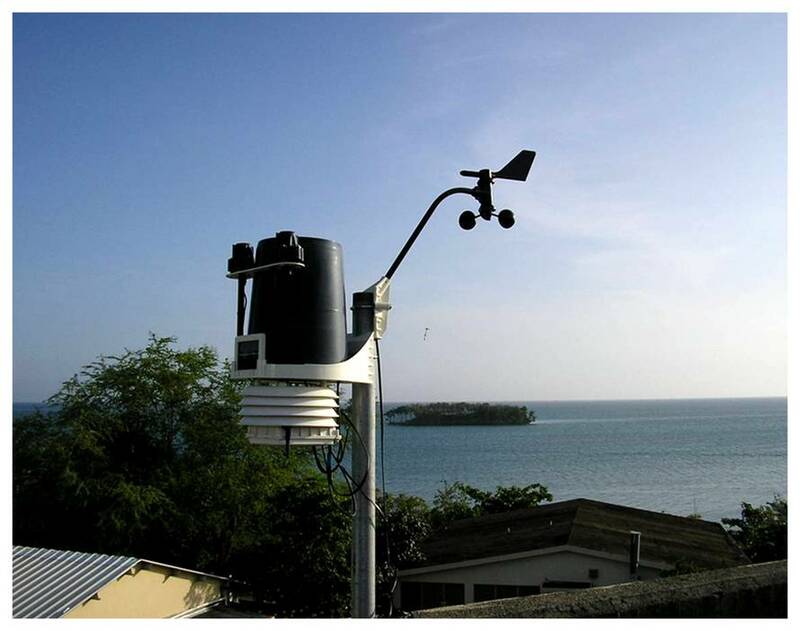 This meteorological station has been collecting data since October 2008. 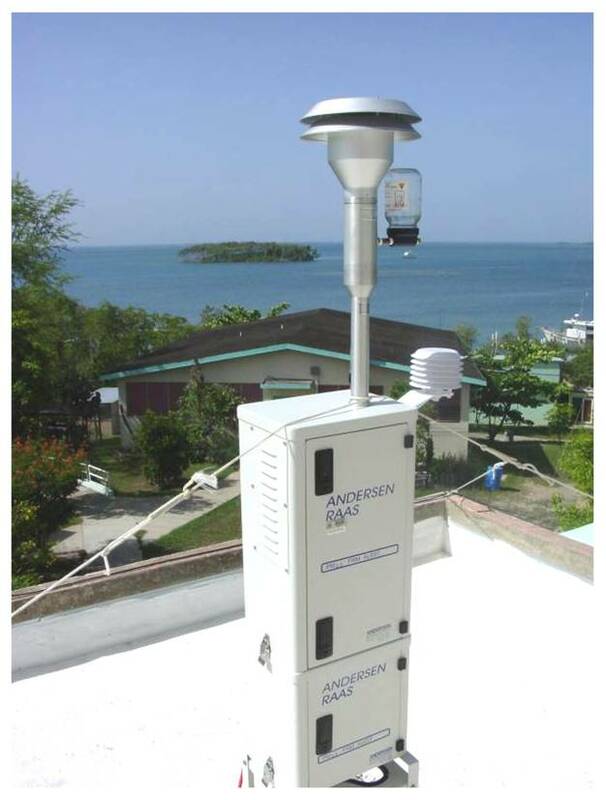 The system measures barometric pressure, temperature, humidity, precipitation, wind speed, wind direction, and solar irradiance. Real-time data are archived in a web server.